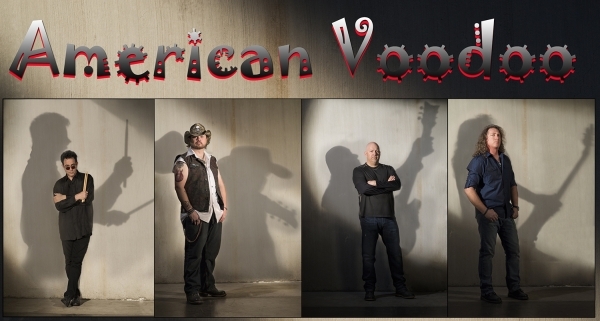 ROCK AND ROLL: American Voodoo performs at Boulder Dam Brewing Co. on Saturday. The group, featuring Doug Bond on guitar, Ron “Shred” Rollwitz on bass, Johnny “Thunder” Evans on drums and Tony Sgro on guitar, describes its performance as “rock and roll — plain and simple.” The band plays from 8-11 p.m. The brewpub is at 453 Nevada Way. Call 702-243-2739 or visit www.boulderdambrewing.com for more information. COUNTRY AND MORE: Crossroad South, which describes its style as country with a vengeance, will play Saturday night on the patio at Chilly Jilly’z. It repertoire includes country rock along with some classic and Southern rock. Together, the band’s members have more than 40 years of experience as performers. The band plays from 8-11 p.m. Chilly Jilly’z is at 1680 Nevada Highway. Call 702-293-2373 or visit www.chillyjillyz.com for more information. GUITARIST: Las Vegas native Joey Vitale performs at The Dillinger Food and Drinkery on Friday night. A performer since he picked up his first guitar at age 9, Vitale plays country, classic rock and roll, and blues, which he says grounds him. Vitale plays at 8:30 p.m. The Dillinger is at 1224 Arizona St. Call 702-293-4001 or visit www.thedillinger.com for more information.